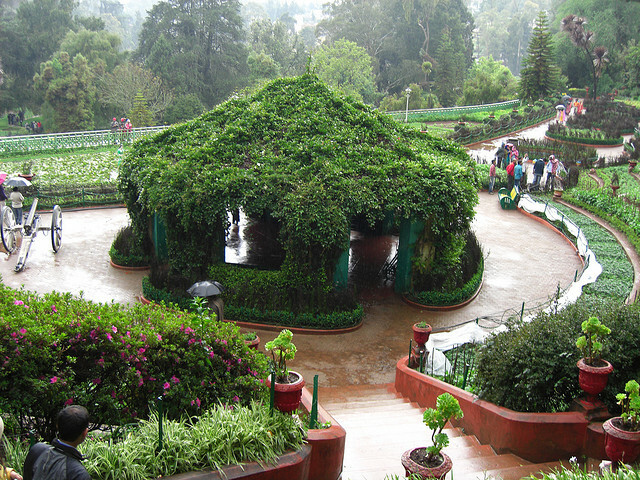 In the heart of the city, the Ooty Botanical Garden is another sort after tourist spot that is often found crowded during the peak season. The scaling lawns, fresh bloomed flowers and uniquely manicured and maintained bushes form a myriad of lovely spots. A vast garden that sprawls on 56acres of land, this park is maintained by the Horticulture department of India and is the abode of various rare plants and trees. The cork tree, the monkey puzzle tree (monkeys cannot climb this tree), paper bark tree and a 20 million year old fossilized tree are to name some. The fern house is filled with a huge variety of ferns. With its many interesting features and arrestingly colorful ambience this makes a great spot for photography. Plant enthusiasts should visit the place during the rare plant exhibition.